Can Singapore’s prime District 9, a highly sought-after address for the well-heeled, still offer upside for home buyers? Unknown to some, the answer may be found within the River Valley and Robertson Quay precincts, where a slew of catalytic changes happening in and around it are seen stroking property prices northwards. Favoured for its central location and proximity to Orchard Road, the CBD and lifestyle amenities, this affluent residential enclave will soon enjoy greater connectivity with the completion of two upcoming MRT stations serving the River Valley precinct for the first time. Fresh lifestyle amenities including new hotels, retail and F&B offerings in the nearby Robertson Quay are also breathing new life into the waterfront promenade of the historic Singapore River. Their impact on property prices is imminent, some market watchers point out. “Increased connectivity and new amenities in the precinct would refresh both price and rents by lifting them to a higher plane: says Savills Singapore research head Alan Cheong. He expects property prices in the River Valley precinct to rise over the next five years, while rents may turn around later this year and trend up over the same period. Such potential upside has not been priced into residential properties there yet, going by studies revealing that properties tend to command a premium when a new MRT line is completed. A study on properties near the Circle Line by professors from the Department of Real Estate at the National University of Singapore found that the new Circle Line opening created an estimated 551.23 billion housing wealth effects for households living in close proximity to the MRT stations. Homes located within a 400-metre radius from the closest MRT stations enjoy an average price premium of 13.2 per cent relative to those outside the 400-metre boundary, the study shows. One project that has thus found itself in a sweet spot is Martin Modern, located in the upscale residential enclave at Robertson Quay. Sitting on a generous 1.6-ha site in Martin Place, the 450•unit condominium project is the latest luxury project by Singapore- listed developer GuocoLand Limited that is slated for launch in the second half of this year. It will be within walking distance to the Great World City station along the Thomson•East Coast Line and the Fort Canning MRT along the Downtown Line -both up and running by the time the project is completed around 2021. Mr Cheong believes that the completion of the Great World MRT station will further augment the popularity of this area, which is currently not served by any MRT lines but is still popular among expatriates. Few prime-district residential sites have come onto the market through state tender, with this site being the third in District 9 to be made available in the past 10 years. GuocoLand Singapore group managing director Cheng Hsing Yao says: The site is in a posh residential neighbourhood that is also near the F&B cluster along Robertson Quay, and a short walk from the future Great World MRT Station on the Thomson-East Coast Line which will take residents straight to the CBD and Marina Bay. -A site of this size in District 9 is very rare: he continues. 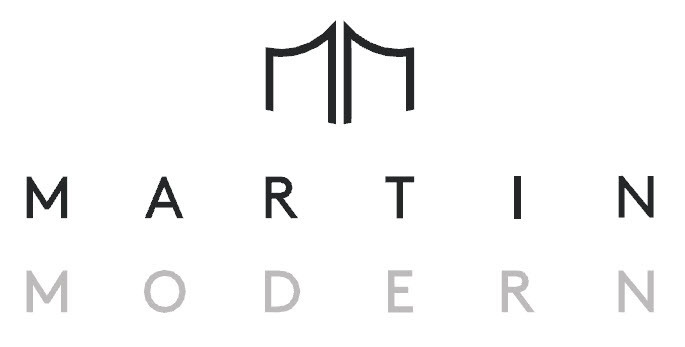 Its land area and high ground are ideal conditions for us to create our trademark luxury design as seen in Goodwood Residence and Leedon Residence.” Over 80 per cent of the land area at Martin Modern is reserved for a botanic garden. an arboretum of more than 200 plant species and over 50 species of trees and palms. The vast acreage will feature 15 different spaces including a party lawn. forest trail, rain gardens and a green maze. This garden is spread across three levels, leveraging the site’s 10.metre upward slope from one end to the other. Owing to its location, the project encapsulates both the tranquillity of luxury living and the convenience of lifestyle amenities well within reach in the nearby Orchard. Robertson Quay and Clarke Quay. The downtown core, Singapore’s business epicentre, is about five minutes’ away by car and less than 10 minutes by train or cycling. River taxi services at the Singapore River offer a unique daily ritual for those who love a boat ride to start or end their day. The nearby Singapore River promenade, Fort Canning Park and Alexandra Park Connector provide other work-out avenues for cycling enthusiasts. A number of yoga, pilates and fitness studios have also sprung up in the vicinity.